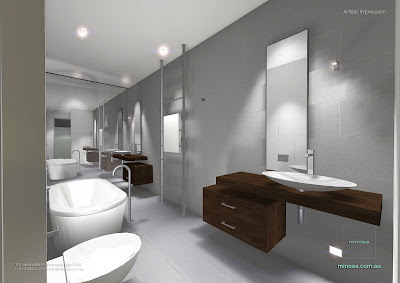 To create a Spa Style design ensuring their Ensuite was their personal retreat to bathe away their stresses from their hard working days. Heavily focusing on style style style. 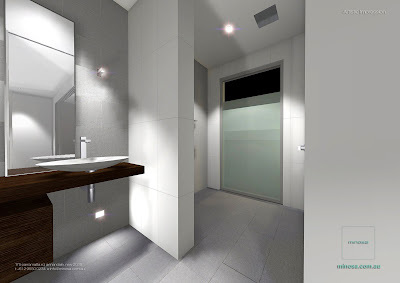 Our client had strong design requests and was adamant to have them met. 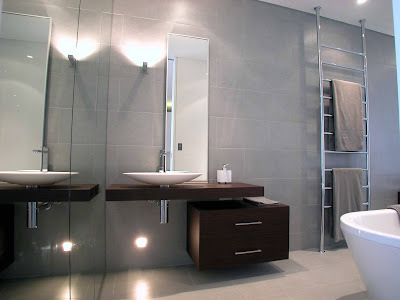 It had to be extremely well finished with the quality of work and bathroom fittings where to be outstanding. Our clients are young (35+) , hardworking professional couple with a young daughter who were undertaking an extensive modern renovation of their freestanding period style home in the lovely suburb of Queens Park in Eastern Sydney. Meticulous and very opinionated about their requirements, we had to work closely and professionally with our clients ensuring the level of detail & quality they required was met. designer bathroom products that ooozed style and a sense of individualism. It had to be easy to care for & maintain and it had to compliment the interior design of this contemporay makeover. 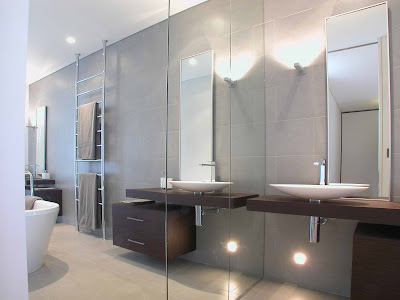 As their bathroom designer we had to design the complete this Parents Retreat as a flowing & intergrated space. 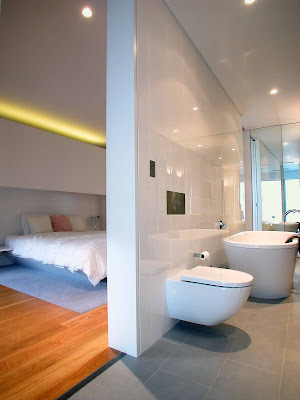 The pre requirments for this long narrow bathroom space was;- a freestanding bath, double shower, double washbasin, wall hung toilet with concealed cistern, storage and a walk in robe! 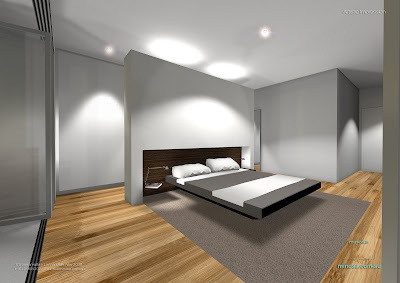 We created this by placing the wardrobe behind the bed and removing all unwanted void space a master bedroom can sometimes have. We then set about ensuring the rest of the Bathroom products would fit. 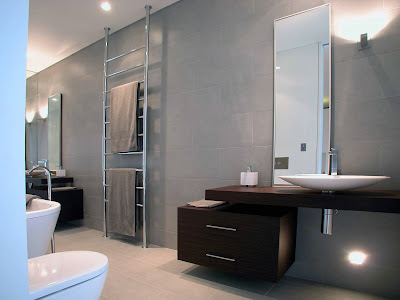 By placing the bathroom furniture at each end of the room it gave us good space in the centre of the room to work with the bath & heated towel rail; we ended up using the custom made floor to ceiling option as a type of divide to the room. 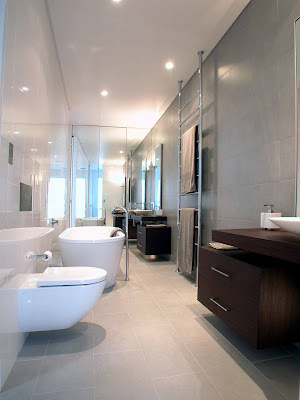 The tiles were selected and laid in a way to accentuate the length & height of the room. This makes the space feel a lot larger that it actually is. Finally the lighting had to reflect the lifestyle of our clients, it needed to be bright in the morning when dressing and at the touch of a button it had to reflect a day spa for relaxation. CBUS was chosen for it ease of use.